woodcut printing. AIKO’s new Ukiyo-e works will be revealed in the exhibition! Hiroshige Museum of Art meets globally active street artist, AIKO, for the first collaboration ever! 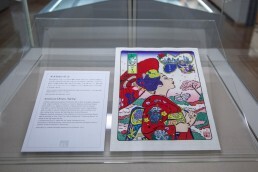 A collection of works representing the unique world of contemporary Eshi, AIKO, and Ukiyo-e that feature women depicted by Utagawa-style Eshi including Hiroshige, Toyokuni III, and Kuniyoshi will be featured at this exhibition. Highlighted works we may feel casually familiar with include a giant wall art by AIKO exhibited for the first time in Japan, “America no Yume (American Dream)”, which is created with techniques of Ukiyo-e Hanga, and Edo girls fashion that appear in Ukiyo-e of the Tōkaidō and Kabuki. We hope you enjoy the world of “Girls” loved by many generations of the Edo period to today. A Mural workshop by the artist AIKO with local children. Sakura real estate Co,. Ltd. 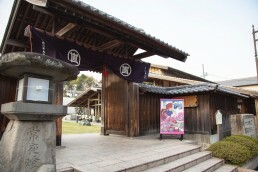 Demonstrations and workshops by The Adachi Foundation for the Preservation of Woodcut Printing who continue the Edo-period techniques of woodcut printing. All ages are welcome to participate. Registration: Applications accepted by telephone(054-375-4454) or through our website. Printing workshop spaces are limited to the first 15 people (pre-registration recommended). Registration will close once all spaces are filled.